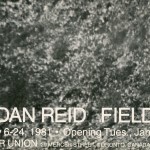 Dan Reid, from Toronto, will exhibit an installation entitled Field in the Main Gallery from January 6 to 24. 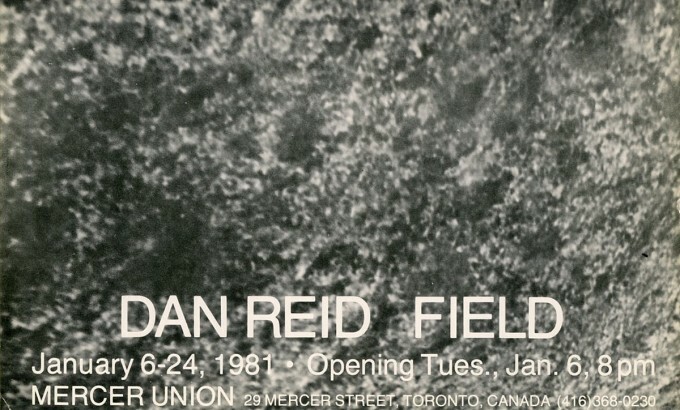 With the parameters of the work, perception is localized to the extent that the elements begin to act independently of the viewer’s predefined conception of the overall format. His awareness of immediate phenomena causes him to constantly restructure the elements in relation to his specific location within the field.